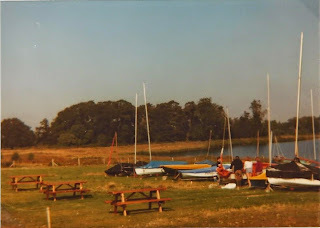 The idea to establish a sailing club, at the then recently flooded gravel pit, was originally conceived by the sailing section of the Greene King Sports & Social Club in the late ‘70s. The first formal meeting to discuss the formation of the Club was held in 1979. 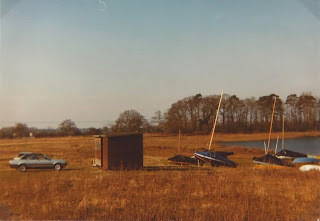 The Club was officially founded in 1981 with financial assistance from Bury St Edmunds Rotary, the St Edmundsbury Yachting Association and Bury St Edmunds Council. Culford School donated two old music huts to be the first clubhouse. 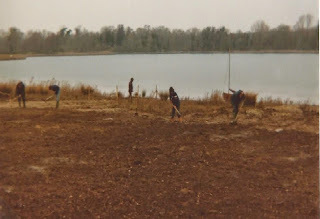 Burlingham Seeds gave a hut, the Club gates and seeded the whole area. R.A.F. 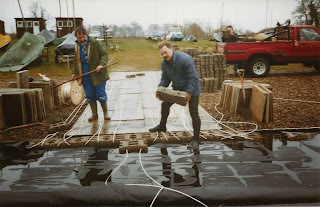 Honington and Ron Munday donated the materials for the jetty. 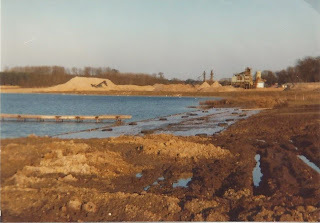 The local farmer lent his tractor and Atlas Aggregates donated gravel for the foreshore. The dinghy park takes shape. In 1991, the Bury St Edmunds Council provided 50% of the funding to build a toilet and shower changing block, which was supplied with water and electricity by a grant from building merchants Jewsons. This was officially opened by the Mayor of St Edmundsbury, Councillor F.S.Jepson on 10/8/1991. 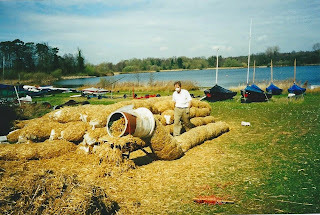 After problems with blue/green algae in 1998, then Vice Commodore Alan Turvey created a barley straw sausage making device which produced 2 1/2 tons of 'sausages' in three days. 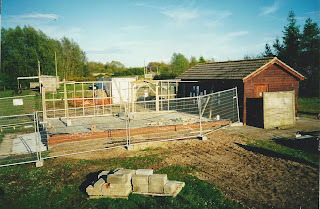 In 1999, the Club secured funding from St Edmundsbury Borough Council and the Suffolk Waste Disposal Co Ltd to add a new clubroom to the changing block. The clubroom was further extended with additional changing rooms and facilities for the disabled in 2010, with the support of Havebury Housing Partnership; the Suffolk Foundation; Suffolk Environmental Trust; Activities Unlimited; RP Valves Ltd and Lottery Funding. 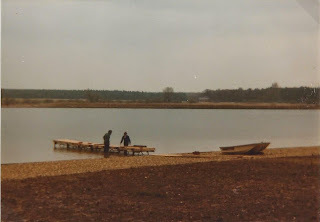 The Club became the sailing centre for Suffolk Scouts. The Club also secured sponsorship from the Antigua & Barbuda Tourism Authority for its ‘Antigua Sailing Day’ Regatta. As a prize for winning the RYA Social Media Award, the Club received a visit from Nic Asher - GBR Olympic Squad and former 470 World Champion, who gave a sailing talk and sailed with some of the SESCA youth sailors. In addition to running Club training courses, Club volunteers ran sailing tasters for: BSE Volunteer Police Cadets; Suffolk Young Carers; County Upper School and Stowmarket Middle School. The Schools' sessions enabled 75 youngsters to experience sailing for the first time. The Club expanded its hire and training fleet with the purchase of three more kayaks and an additional Laser dinghy. 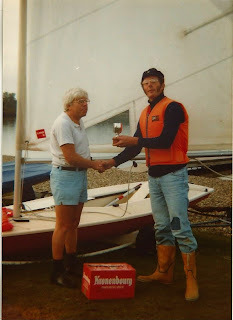 In 2014, the Club benefited from a gift of ten junior buoyancy aids from the local Volvo dealership, Cecil and Larter, which have been gratefully used for the Club’s youth sailing and training sessions. In 2015, 4 more volunteers were recruited to train as RYA Dinghy Instructors. The Club's ‘Antigua Sailing Day’ Regatta was expanded to incorporate a junior fleet in addition to the open Laser and Handicap divisions. The Club was awarded £8000 by ASDA, from their 50th Anniversary Community Fund, for a jetty extension. The new jetty provides easier access for WASH disabled sailors and provides secure boat mooring in any wind direction. In June 2016, the Club was delighted to welcome local Councillor, Susan Glossop, and new Club Patron, the Rt Hon Matthew Hancock MP. During the visit they were able to inaugurate the new aft benches that had been fitted to the Club’s Wanderer training dinghies and the wheel chair friendly picnic table, which Cllr Glossop had kindly funded from her Locality Fund. 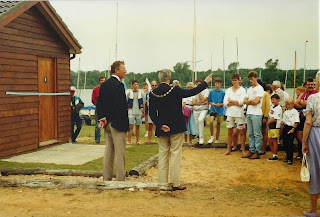 So over 38 years, as a result of the considerable vision, perseverance and effort of its members and the generous support of its benefactors, the Club has developed from being an ambitious idea to become the flourishing watersports centre that it is today.